Last time I was near the World Trade Center, the fences were still up and you needed tickets to get into the memorial area. That is no longer the case, as of May. 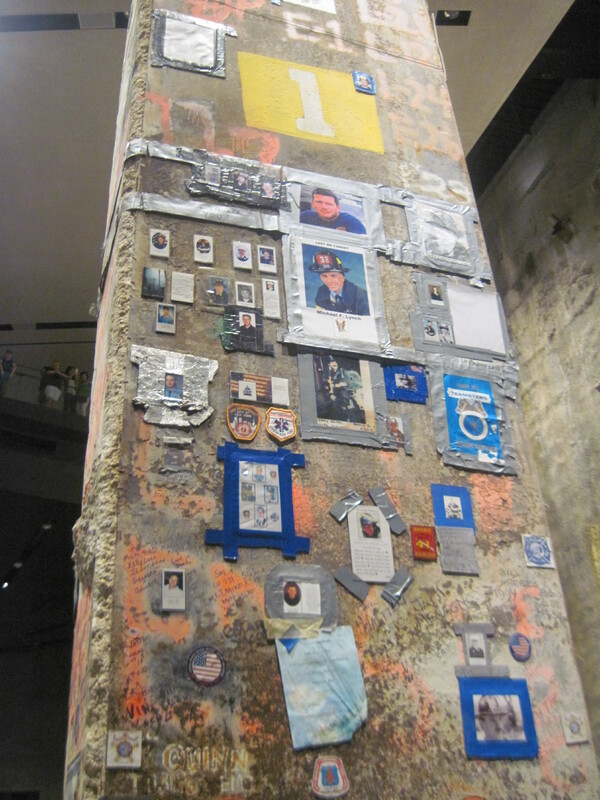 This September 11 is the first anniversary of the memorial. You can just walk into the plaza now and visit. I’ll give more information on the bottom – you can see pictures from my visit as you scroll down. 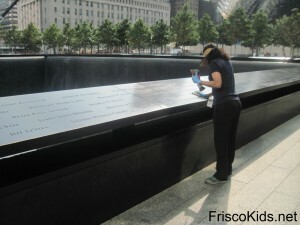 There was something very sacred about the woman’s work cleaning and polishing the metal holding the names. 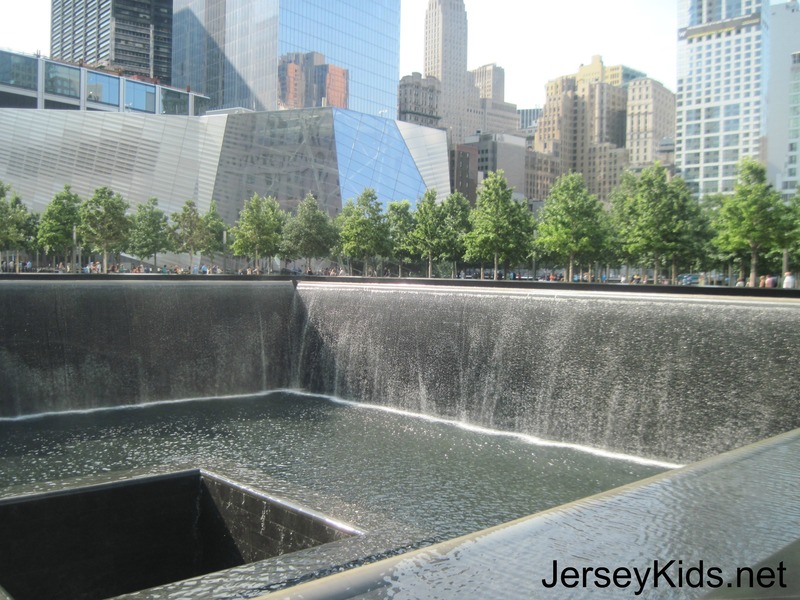 9/11 Museum Review – Should You Take Kids? You can see the museum in the background – it’s the lower building just above the treeline on the left/center. September 11th has a more intense meaning for us now that we live in New Jersey. The house we live in was once owned by a couple, whose husband perished in the Twin Towers. Living here is a daily reminder. 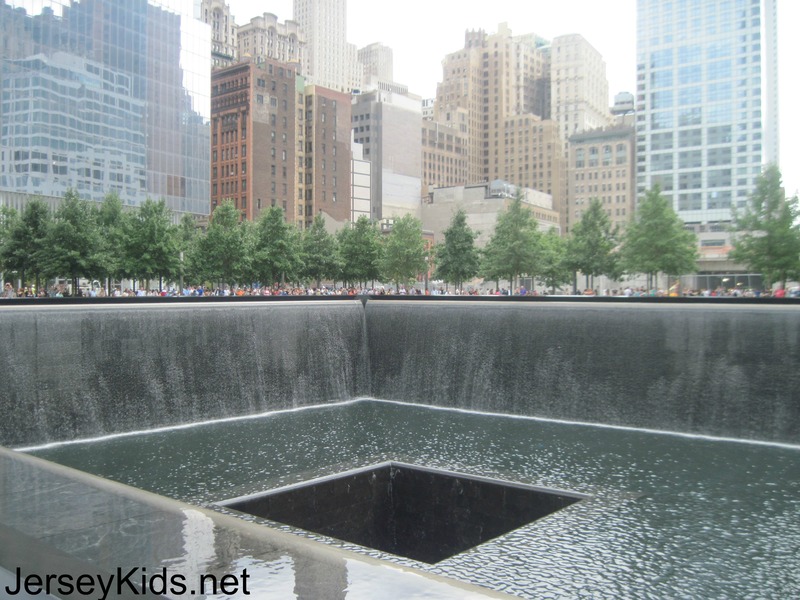 The 11th anniversary is upon us, and I just wanted to put out a few resources on where you can find information on how to discuss the day with your children. The 9/11 memorial in Manhattan opened last year, on the 10th anniversary. 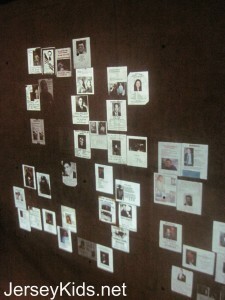 The museum is not yet open, however there are lesson plans available. 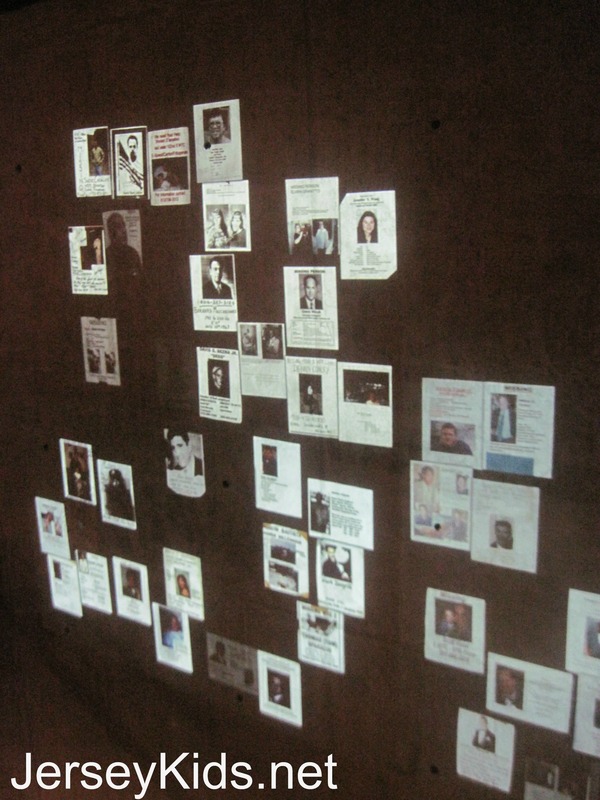 These were developed by teachers, through the New York City Department of Education, and the New Jersey Commission on Holocaust Education. You don’t have to be a credentialed teacher to use them, of course. As parents, we’re all teachers. 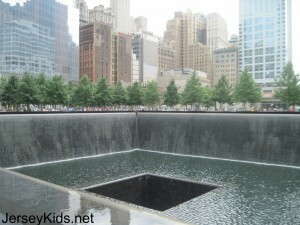 The site also has tips on how to talk to your children about 9/11. 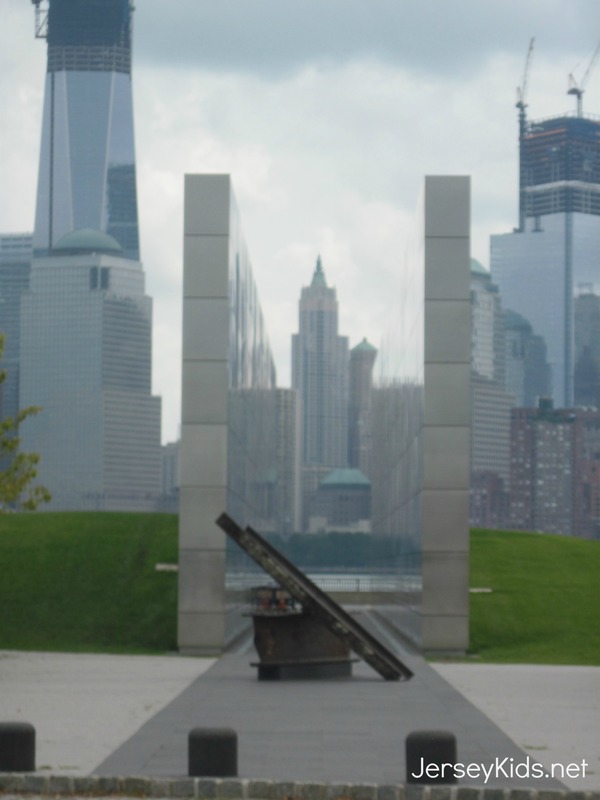 The photo above is the Empty Sky memorial in Jersey City. 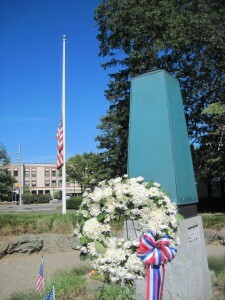 It was dedicated last year to those in New Jersey who lost their lives on 9/11. 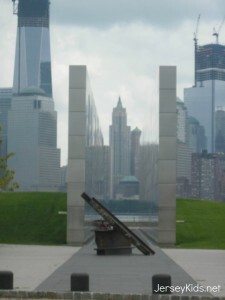 It’s a beautiful memorial, and you can see steel from the World Trace Center in the foreground. The names of those lost are inscribed inside the walkway on the stone panels. The view? Well, yes. That’s where the Twin Towers stood. 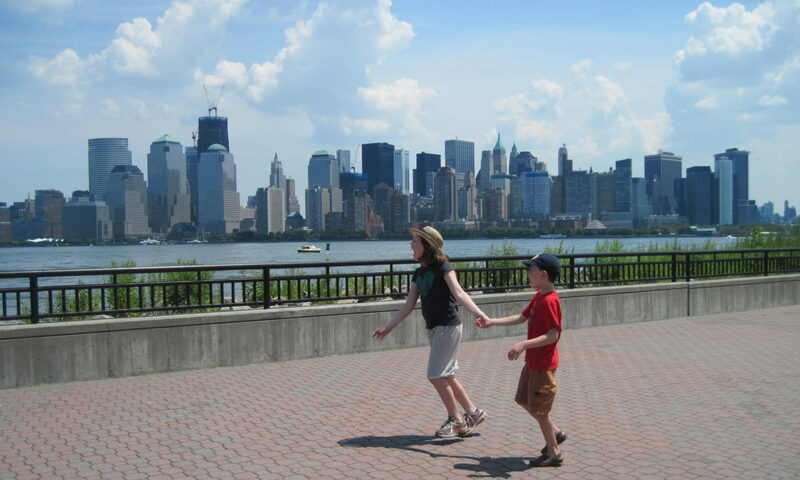 MommyPopppins has fabulous list of ways to commemorate the day with your family, with a lot of resources. Please check it out. Our thoughts go to all who lost friends and family members on that horrific day, and to those who died in the aftermath of helping in rescue and clean-up efforts. 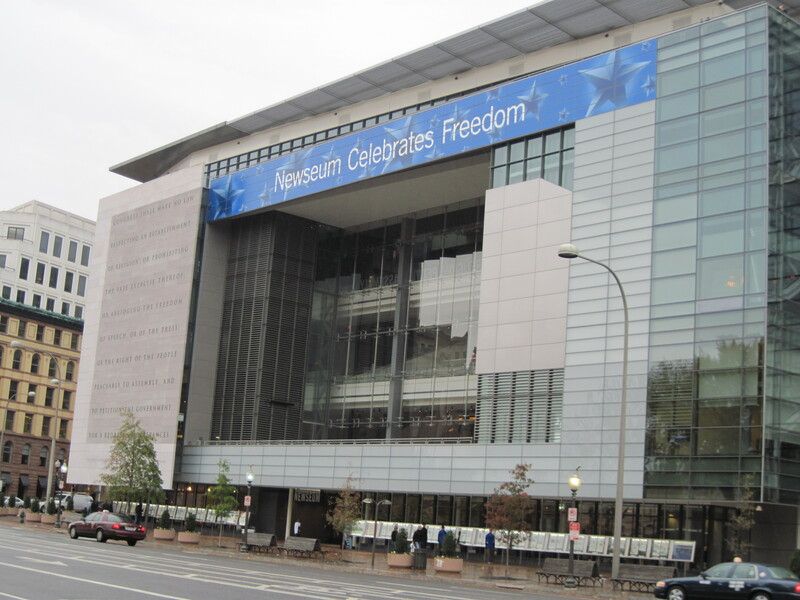 Review: Newseum with Kids in Washington D.C. This is part of a series on Washington D.C. with kids. Most of the attractions in Washington D.C. are free, even if they’re not part of the Smithsonian complex. That said, here’s one museum that’s worth the money you pay. 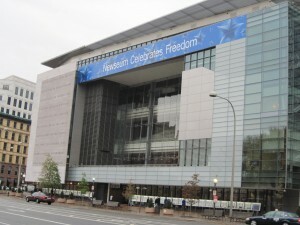 Newseum turned out to be my daughter’s favorite museum on our trip, and I loved it as well. In fact, after spending 2.5 hours at it one day, we went back the next day to catch what we missed (the tickets allow a 2 day consecutive entry at no extra cost). This year, the 10th anniversary of September 11, falls on a Sunday. Given that the kids won’t be in school, it’s a good chance for the family to reflect on what happened, its impact on our lives, remember those whose lives were lost, and join with with the community. I posted some events here which you can consider attending. NYC.gov has a list of activities on its calendar.